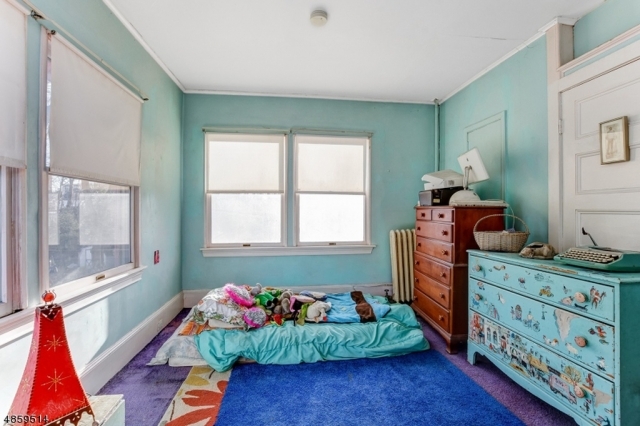 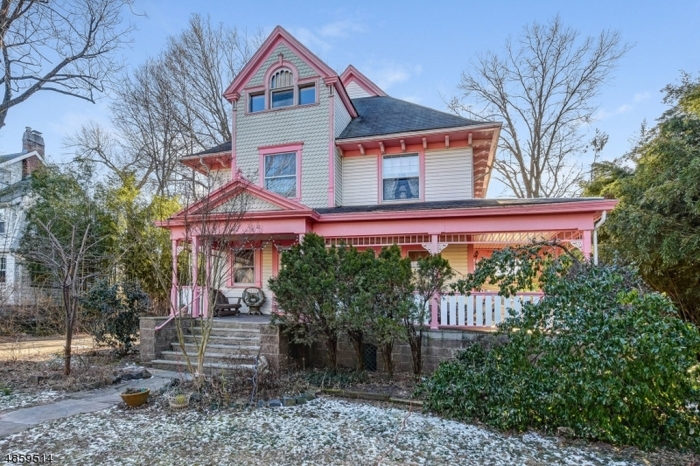 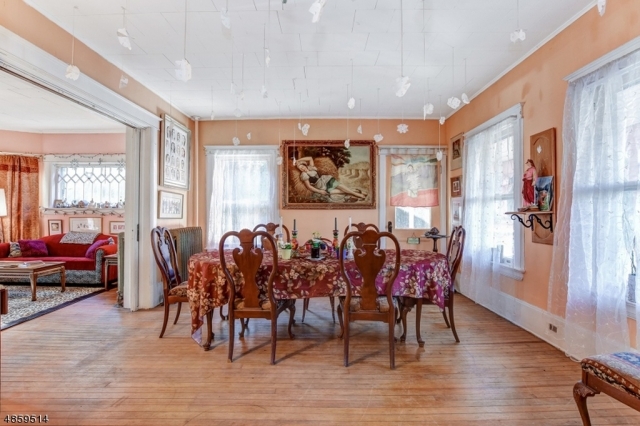 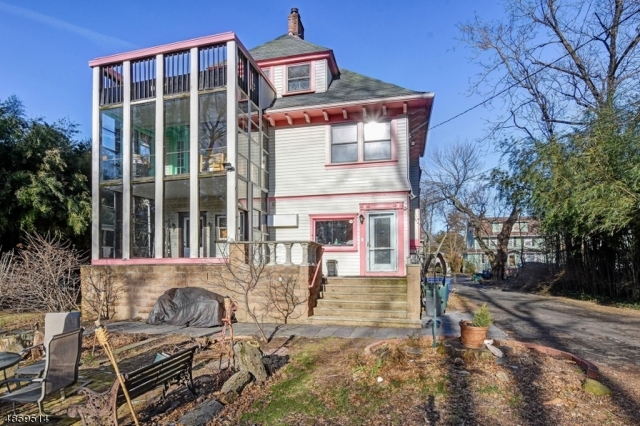 Vintage sun-filled Painted Lady Victorian on private park-like property located in nearby South Orange, NJ. 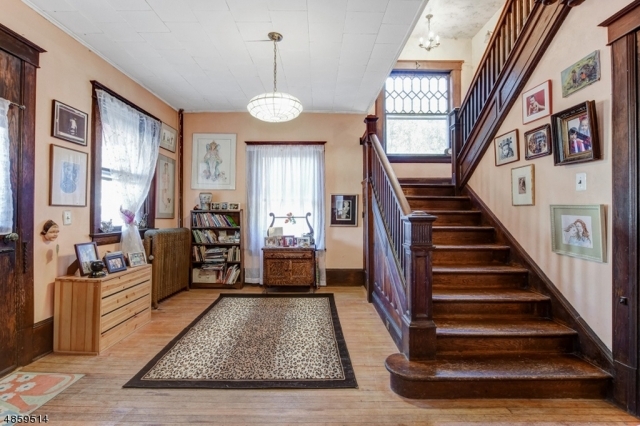 Grand scale rooms with high ceilings and cherry wood stairs & moldings. 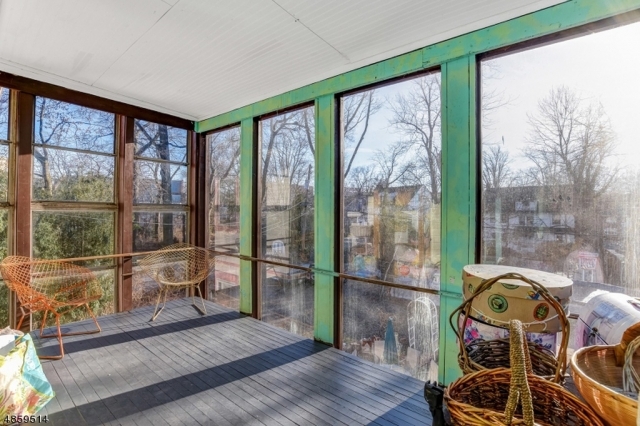 The front wrap-around porch is perfect for entertaining and sipping cool drinks on summer evenings. The large tree-lined property is fenced and gated, providing full privacy on all sides with a large driveway offering abundant parking. The first floor has a sweeping entrance foyer that leads through pocket doors to an elegant dining room and large livingroom with working gas fireplace and hand-carved windows. 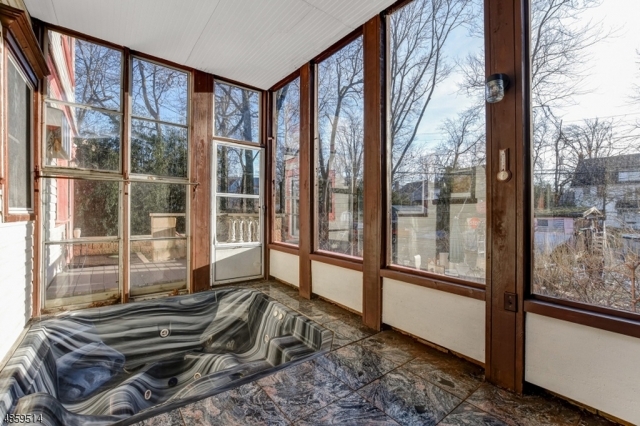 Off the livingroom is a south-facing sun room featuring floor-to-ceiling glass windows with jacuzzi. 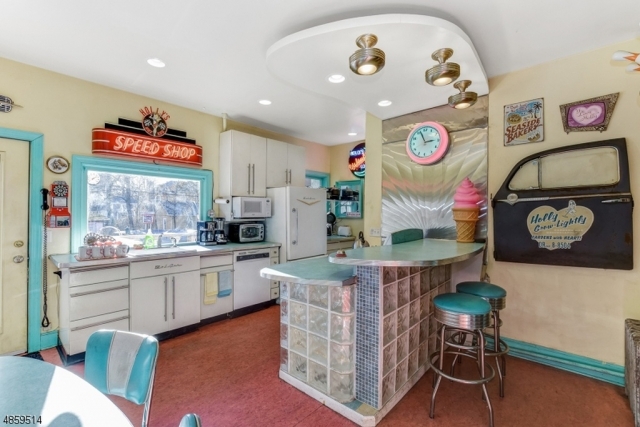 The spacious kitchen is styled in authentic retro diner design and leads out to an outdoor dining deck. 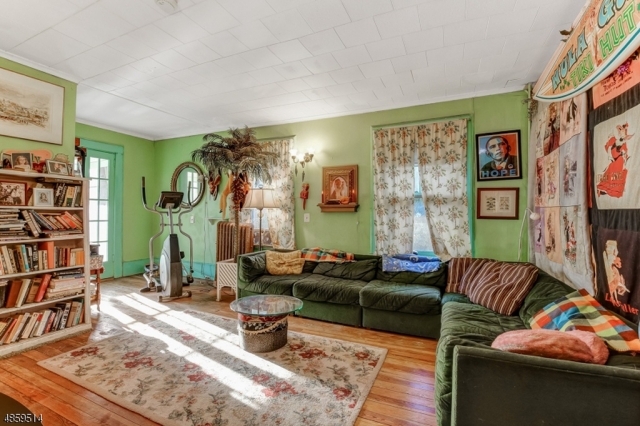 Off the kitchen is a delightful half bath. 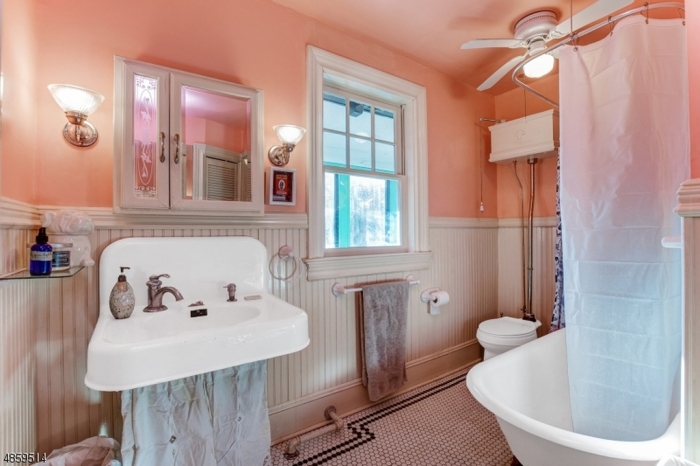 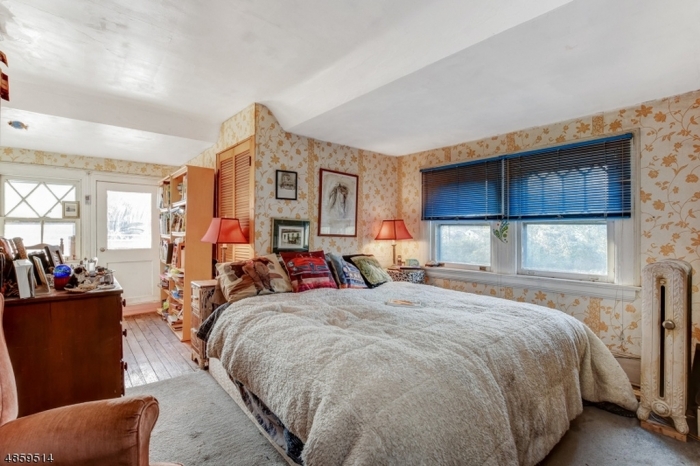 Climb the cherry wood staircase to the second floor with a large family room leading to a beautiful floor-to-ceiling glass windowed sun room, 3 large sunny bedrooms and full bathroom with period-correct clawfoot tub, pull-chain toilet and tile floor. 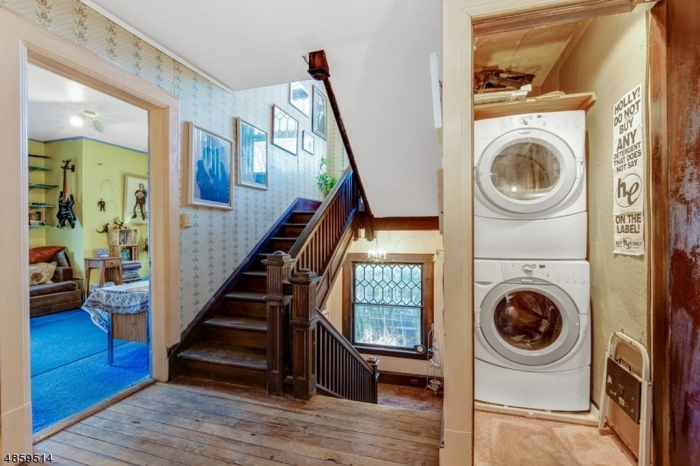 The laundry on this level adds incredible convenience. 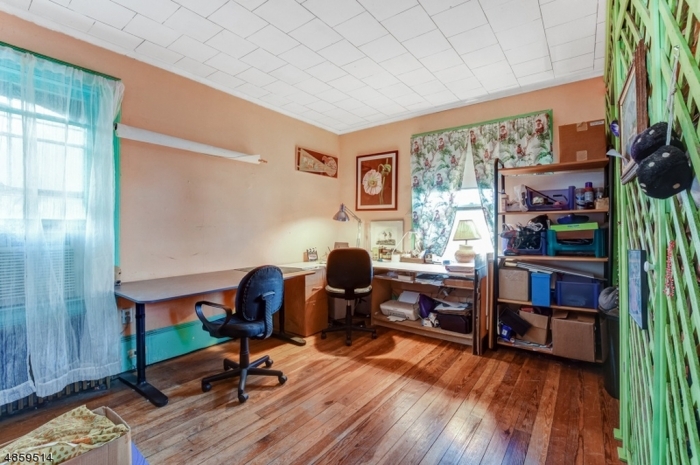 The 3rd floor features two additional full-size bedrooms or home office/studio space, as well as nursery and large walk-in closets. 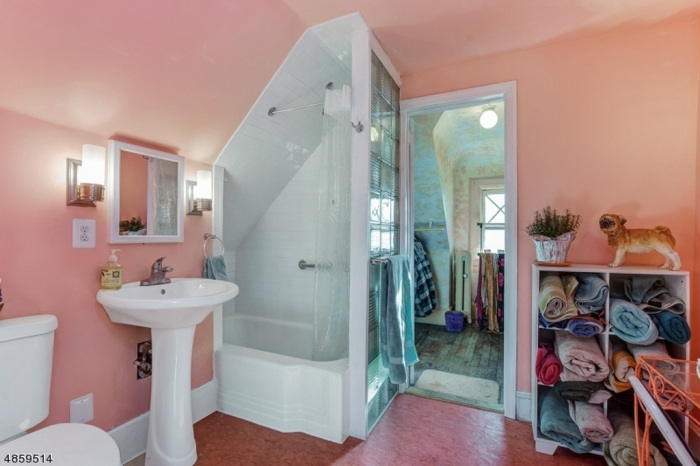 The full bathroom is finished with subway tile and glass block. 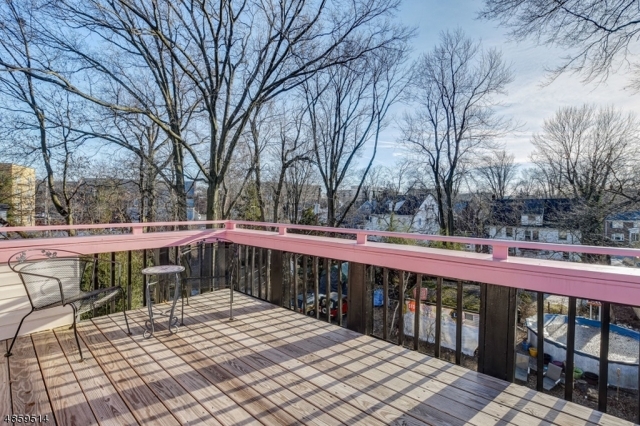 The cherry on top is a large, breathtaking 3rd story deck providing panoramic rooftop vistas. 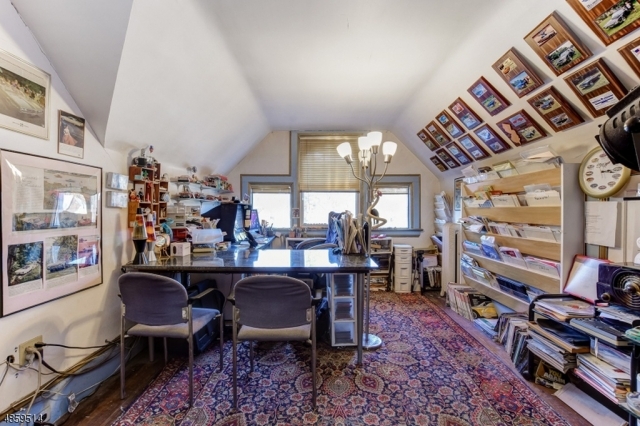 A large attic above and a full basement provide abundant storage and workshop space. This property is a true wonderland for those looking for a unique and inspiring environment to raise a family, create a work space, and entertain. 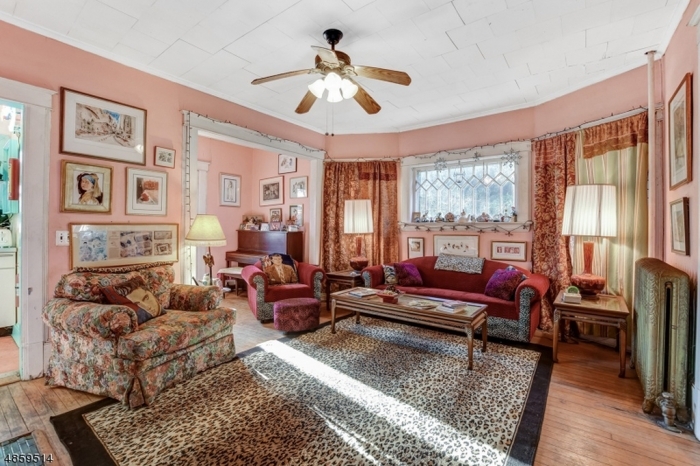 Featuring low taxes, this double-lot property is located in South Orange’s Montrose Park historic district, minutes from the Midtown Direct train line to NYC, and downtown shops and restaurants, and a block to Grove Street Park, Marshall School and Seton Hall University. 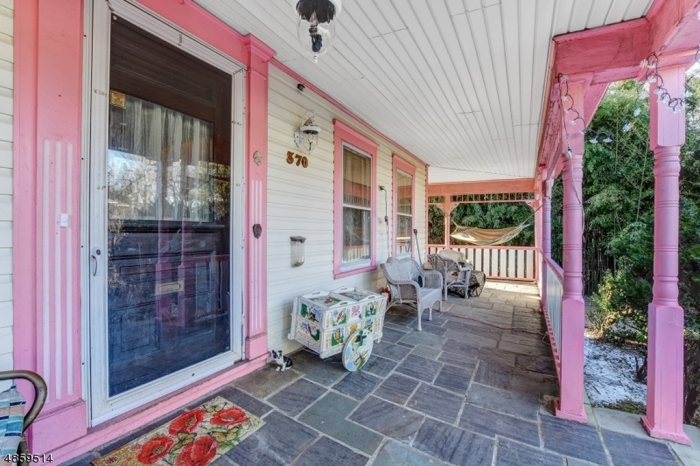 The neighborhood is quiet, safe, and family-oriented on a tree-lined street that is virtually traffic-free.